It’s that time again: Learning Technologies 2019. I’ve been going for at least 15 years now and every year the scale, scope and variety of discussions evolves. If you’re in Learning Technologies and anywhere near the UK, this is the one. It can also be a pretty daunting experience if you don’t go in with a gameplan. So here are a few tips from us to get the most from the conference and exhibition, and some bonus completely objective suggestions on where to meet your Anders Pink posse in the glittering learning parade. …It’s in Excel London this year. (These tips will hopefully get more nuanced as the list continues). The free exhibition seminars are great if you don’t have a conference pass. Check them out here. We’d recommend ones that have a client co-presenting and showing real work with real results. It’s a room of bright lights and big (sometimes alarmingly big) stands. Don’t get lost at the circus. Look at the exhibition floor map and the list of seminars. Choose your must-see exhibitors and seminars. Stick them in your calendar. Organise your time around the people and talks you know you want to see. Organise in rows or clusters around seminars to be efficient about your time. Leave time for wandering and serendipity of course, but you’re better off being a ninja than a nomad when it comes to getting around this show. There are over 250 exhibitors and 150 free seminars. Even if you go for two days, you won’t see it all. It’s worth taking some time to form some questions in your mind that you want the answers to, and seek out the companies and seminars that will best answer your question. How can LT2019 help you to make an impact in 2019 and beyond in your work? Do you have a specific performance or learning problem that you’re trying to solve? If you had to come away with a solution from the show, what questions would you ask? Ask those questions. You can have a nice chat, or you can get some free consultancy. That’s worth a lot more than a pen or a stress ball. Are you looking for a partner for learning solutions? What are you looking for in them? Ask them for views on trends – can they help separate buzzwords from business focused learning solutions? Are you looking for innovation or inspiration? Topics like gamification, curation, social learning, Artificial Intelligence, LXPs, Learning Ecosystems are among the headline themes at the conference. Don’t get blinded by the shine though – find out how people are actually applying them in practice in their organisations. Ask for case studies and real examples. 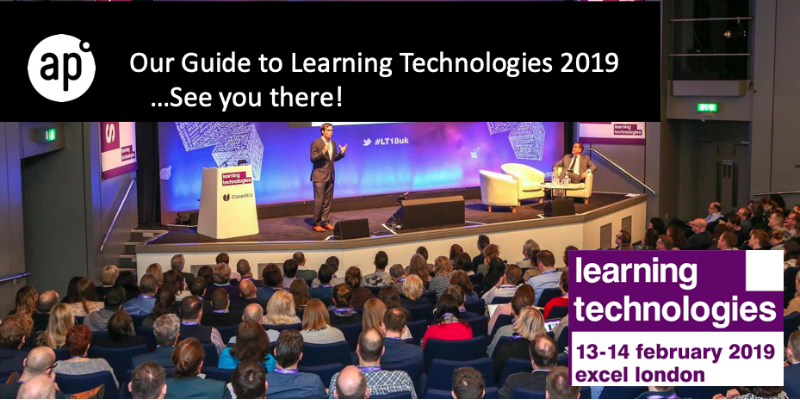 Bonus tip: If you want to get a briefing on these topics ahead of the show (and after): Here’s a daily briefing on the latest in learning technologies from a range of experts and influencers. It updates every few hours with content focused on the key topics in Learning Technologies from the key players. Save some time scanning, and focus on planning. This is not the time to channel your inner introvert. Ask your questions, make it clear what you came to the stand looking for. If you need to speak to a salesperson, or a technical specialist, say so. Vendors prefer getting straight down to business at LT (trust us, we’ve been there many, many times). It’s your time, so you drive the conversation and ask to see what’s new, what’s relevant to your needs. You’ll have a better conversation – or if there’s nothing in it for either of you, you won’t waste anyone’s time. If your time is limited (whose isn’t? ), contact the vendors or experts you want to see in advance. Let them know you want 10 minutes with someone who can talk about your specific interest, and what time would work best for you. You can curate your own LT by scheduling a set of meetings. Less waiting around for you. More productive meetings. Bonus: many vendors will have private meeting areas, so you can get away from the noise and probably get tea and biscuits for your trouble. There are many established providers in the learning technologies market. You should of course pay attention to how they’re evolving. But there are also lots of new entrants – exciting for buyers, good for the industry. In the Launchpad area you’ll find companies at their first LT rodeo. It’s refreshing to see what new exhibitors are bringing to the mix, so do stop by. LT would not happen (or at least would not be free) if it wasn’t for exhibitors paying to be there. So pay them their dues and pay them a visit. But it’s also helpful to talk to people reviewing the market who can give some independent advice. The Fosway Analyst lounge at stand G69 is a good place to go for this, and if you can get into the conference, you’ll find plenty of experts and advisors up there to give you a good steer. You can’t miss Fuse’s bright pink and lively stand. Fuse Universal offers customers the most advanced technologies in the market, built to help increase learner engagement and business performance.Fuse is a modern learning system, which enables progressive learning organisations, to transform themselves in to becoming true learning organisations. Over 120 clients use Fuse, and Anders Pink is a core part of the Fuse ecosystem. You can see Anders Pink in action on this beautifully designed platform. Anders Pink powers the ‘From around the web’ feature on the Fuse platform. Here’s more about how we’ve integrated and what we’re planning at the show. With GO1 you get the learning content that you need, combined with the platform to manage your learners and track their progress. Whether it’s personal development, compliance, onboarding or selling courses – GO1 has got you covered! Anders Pink integrates with GO1 Platform to power their content library. The team at GoodPractice are passionate about providing inspiring learning and performance resources for organisations across the globe.Talk to the team about how Anders Pink is powering content in their great content library and offer. GP Strategies is an award-winning global provider of customised performance improvement programmes, that strategically align with your unique business objectives. GP Strategies can offer Anders Pink as part of a range of its blended solutions, learning programmes and platforms. Jam Pan provides global digital learning talent and solutions on demand, from across the learning marketplace. 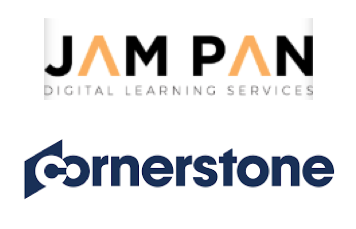 Jam Pan is a Cornerstone partner. They can bring Anders Pink into your Cornerstone Learning Platform to provide curated content on any topic. Just chat to David and his team to see it in action. Kallidus is an award-winning provider of learning, performance, 360, recruitment and talent management technologies, bespoke e-learning and consultancy.Kallidus Learn is a modern learning platform designed to make learning simple, fast and effective. 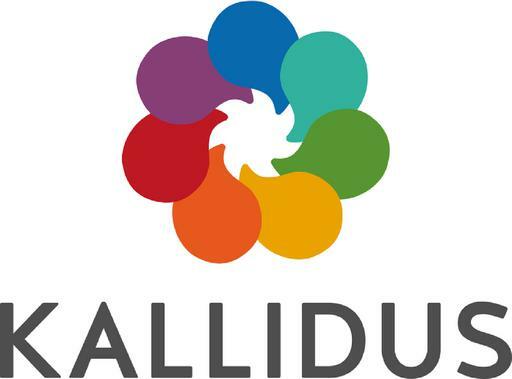 Talk to the Kallidus team to see how you can bring fresh content into Kallidus Learn with an Anders Pink integration. Kineo help’s the world’s leading businesses improve performance through learning and technology. Whether you’re looking for innovative digital learning content, a first-rate learning platform, off the shelf courses or expert advice about shaping your L&D strategy – Kineo can help. Kineo have integrated Anders Pink with their Totara learning platform solutions so you can ensure your LMS supports continuous learning and delivers fresh, relevant content every day. 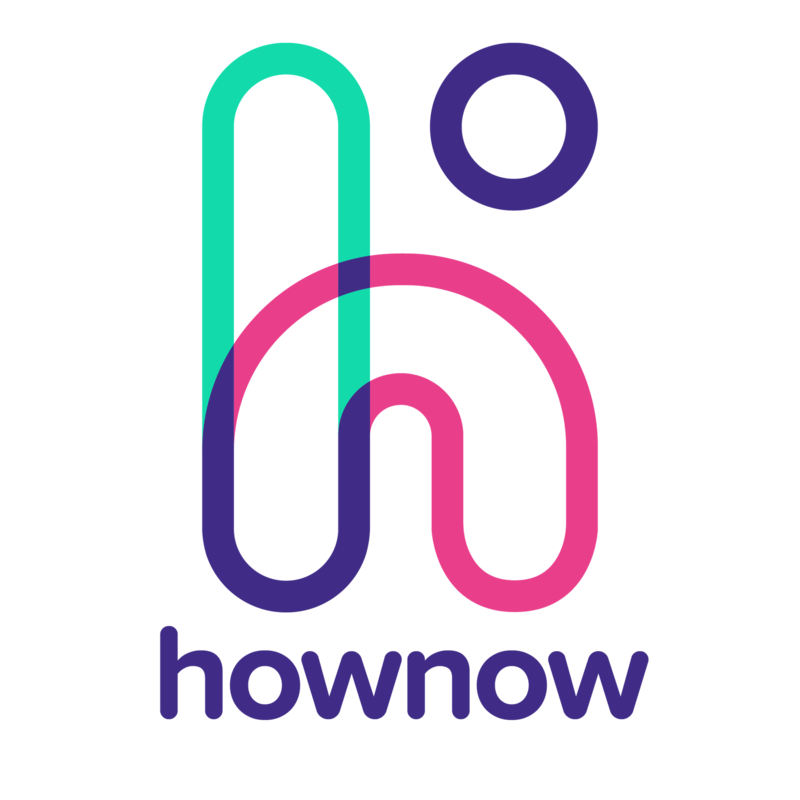 HowNow is an AI-powered knowledge management platform designed to upskill and enable the modern day workforce. HowNow brings together all of your workplace knowledge (shared folders, CRMs, helpdesks etc) as well as expertly curated content including podcasts, books, blogs and workshops, powered by Anders Pink. Then using AI, HowNow recommends relevant knowledge based on role, experience, skill requirements, learning preferences and context. Learning Pool offer a complete learning technologies service that includes a library of responsive and editable content, Adapt Builder and innovative learning games to improve job performance. They are also top global supplier of Totara LMS. Logic Earth supports L&D professionals with tools, enterprise content and consultancy to drive business improvement. An innovative and fast growing solutions provider who are worth checking out. Logic Earth use the Netex Learning Cloud Platform in conjunction with their own solutions to bring curated content via Anders Pink. Lumesse, now part of Saba, offers a range of Learning solutions capable of serving mandatory or elective learning. They also build custom portals and websites to order, for particular audiences or programmes. Anders Pink integrates with Learning Gateway, and can be customised and supported by Lumesse. Lumesse are running their always popular Learning Lounge Event at the Crystal, just down the road from Excel- definitely worth dropping in for a different take on learning. Moodle is a leading open source Learning Management System, used the world over to support educators and businesses. It’s highly flexible and has a range of plugins – including our Anders Pink plugin, which brings curated and trending content into the heart of the LMS. Netex brings innovative learning technologies to companies and publishers. Their Learning Cloud platform is much more than an LMS. It’s a full apps suite designed to connect dots for corporate L&D. An LMS, a social network, an authoring tool and a content manager, complemented with a range of additional services. Anders Pink is now available in the Netex Learning Cloud. Learners can curate content on any topic and get fresh, relevant content every day. Come and see the launch of Anders Pink in Learning Cloud at the Netex stand. Teach on Mars helps organisations connect people with the learning and communities that enable them do their jobs – and manage their lives – better. Anders Pink integrates with Teach on Mars mobile learning app to bring curated content into the pocket of their clients’ learners to drive high performance with dynamically updating content on the topics that matter to them. The Charity Learning Consortium provides affordable eLearning solutions to charities, not for profits and the third sector. Moodle solutions from Charity Learning Consortium are powered by Anders Pink. Think Learning empowers organisations to create safer and better places to work through the implementation of Totara Learn, a fully featured Learning Management System. Anders Pink integrates with Totara LMS, and can be customised and supported by Think Learning. Thrive Learning is here to help you get things right by harnessing modern technology and contemporary methods to deliver inspiring learning to your employees. Thrive provides organisations with an opportunity to modernise their learning delivery with a new, modern Learning Experience Platform (LXP). It includes content curation opportunities using Anders Pink as standard. Leveraging personal and behavioural data, Thrive gives personalised, automated experiences to every single user – providing relevant, timely learning at the point of need and allowing you more time to improve and iterate. Unicorn is an industry-leading provider of digital learning – offering everything from custom content services to learning games and app development. Unicorn’s Minds-i app is a great way to reinforce learning. It is accessible microlearning that makes sure you keep learning every day. Anders Pink powers the trending content of this exciting app. Totara is transforming learning with its world-class open source Totara Learn platform. We’re working with many more partners who are busy plugging Anders Pink into their learning platforms, apps and solutions right now. Many of them may be doing it live on the stand at LT.
We can’t wait to make some very big announcements to add to the great list of partners above, and we have even more partners listed here. Want to join the Anders Pink Posse? The leading learning platforms are powered by Anders Pink. If you want to find out more about how we power platforms in your business through partnership or client integration – just get in touch, we’d love to talk with you at LT – or any time. Want to meet us at LT? We’ll be supporting our great partners on their stands, working the backchannel at the conference, and we’ll also be around to treat you to a coffee (other beverages are available, we hear) and catch up. Just get in touch and we’ll fix a meeting at the show, or tweet us @anderspink when you’re there.